Tasting note: Initially this was somewhat like the 2006 RSV (see herein) as the nose was reduced though unlike the RSV the reduction rapidly blew off to reveal an intensely spicy and layered dark berry fruit nose that remains entirely primary and youthful. There is excellent intensity to the tautly muscular, cool and mineral-inflected big-boned flavors that are supported by a firm tannic spine on the powerfully long and driving finish. This highly promising effort is still very much on the way up and should age beautifully for years. 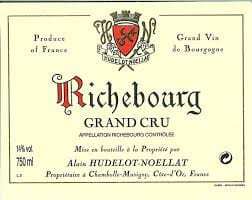 "burgundy"" Cote De Nuits "